I’ll be working with my editor on the final edits soon and am really looking forward to reading the book again. It’s been a few weeks since I’ve had anything to do with Walter and Kevin. I’m going through withdrawal. With all of my open projects, the rest of the year should be kind of crazy but in such a good way. Also coming up is the next installment of MORE THAN JUST A GOOD BOOK and a short Christmas story. You can read a description and unedited excerpt for HOW TO SAVE A LIFE at my website. Such a cute vid. Great reunited scene at the end! Video Source: YouTube. Read the full story. 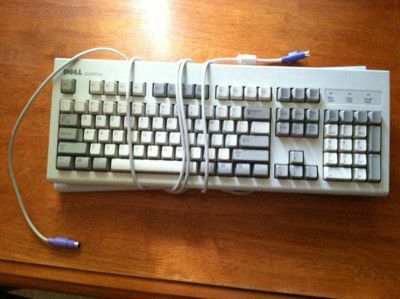 I had to permanently retire my old keyboard and have sent it off to the tech recycling center. 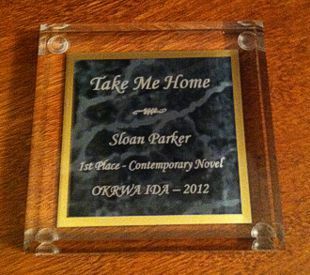 I wrote MORE, BREATHE, TAKE ME HOME, and several of my short stories on this one. Actually, if you look close you can see there were two of them. That’s how much I loved this keyboard. I would still be using it too, but one of them no longer worked and on the other some of the keys were sticking and others had completely stopped working. Hard to type a 100,000+ word manuscript with no “S” key. Good-bye, old friend. Thanks for helping me tell my tales.